Where do you get inspiration? Most quilters answer that question with an resounding "everywhere". And that is so true - inspiration is everywhere if you look for it! 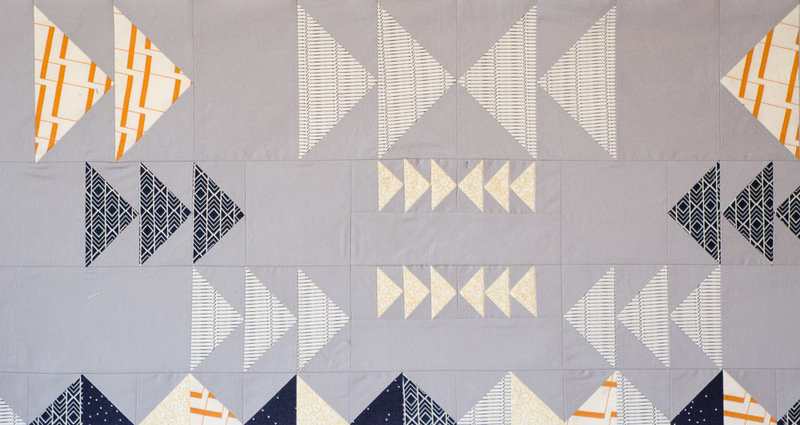 But how do you turn inspiration into a quilt? It's a question I've been pondering lately as I choose my next quilt projects. As far as color inspiration, the sources are limitless. Two of my favorites are the websites Design Seeds and Love Print Studio. 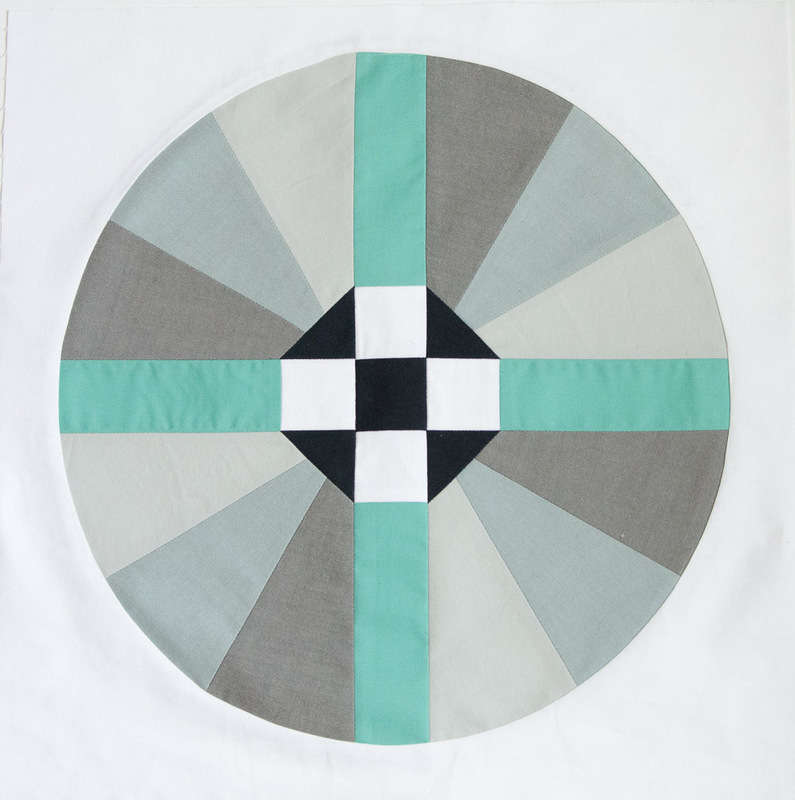 You can easily choose a pretty color combination and then select fabrics to match. Quilt Shop owners and quilters you follow online often post some beautiful color combinations that you may not have considered. Save them for when you need some inspiration! 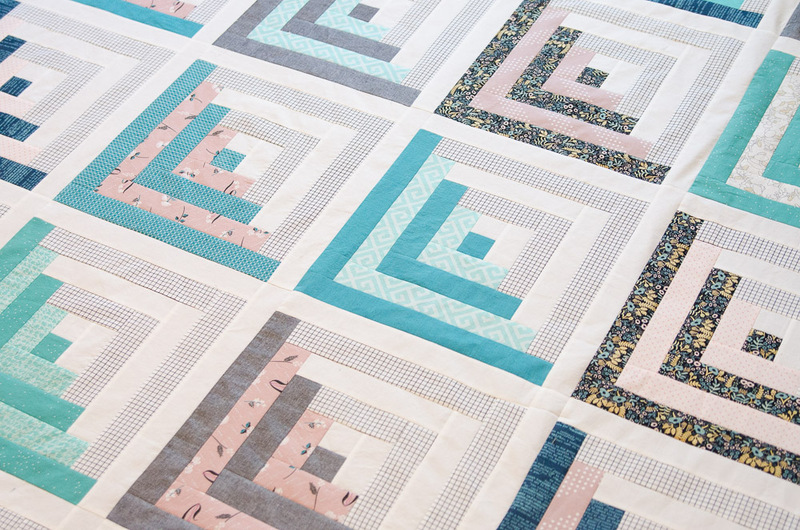 I recently saw this bundle prepared by Fabric Bubb and although I didn't buy the bundle (I had several of the fabrics in my stash), I made this quilt using the color inspiration. When it comes to design, turning inspiration to a quilt is often a bit trickier. Tile patterns, modern artwork and graphic designs translate fairly easily. But can a quilt design come from anything? I recently became part of a Design Bee with a small group in my local MQG. Each month, one of us is providing a photo as inspiration for a quilt block. We'll then make our own blocks, using our own fabric and constraints. I've decided to make modern traditional blocks in solid colors using the elements and colors in the inspiration photo. Though not a literal interpretation of the photo, I chose these elements from the photo: warm colors, "spikiness", and a design radiating from the center. Though not an exact replication of the picture - my block uses some of the design elements. The black in the center represents the eyes and noses of the bears. The colors are neutral except for a touch of green like the photo overall. The bears have a round shape to them and I wanted to repeat that shape in my block. 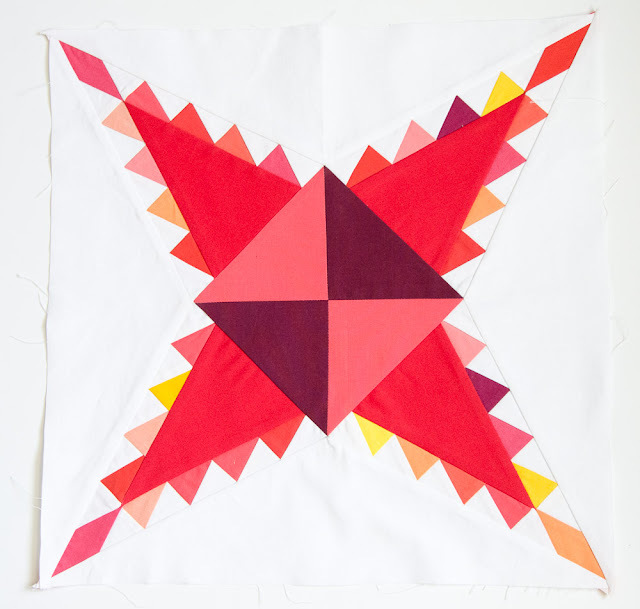 The lesson here - yes, inspiration is everywhere and you can create a quilt design by looking at and featuring the design elements in the inspiration. It is a challenge! But a fun one and I'm looking forward to future months and more blocks! I'll leave with another current WIP. I'll share the inspiration when it's done! Great post Cindy, I loved reading it! Your lovely blocks are so interesting and it is fun to see the inspiration, especially the one with the link. I love your polar bear block! You captured the essence of the photo. Your interpretations are wonderful and make very interesting blocks. What a fun idea for a challenge! The bear photos are adorable!